By now, most physicians have come to see the importance of a good medical service IT company. In this article, we will look at what you should be looking for out of a medical IT service provider, and how to find the best one. Feel free to contact Tribus Computer to see how we can help! We have an established network of computer technicians available to set up meaningful and effective tech support for doctors. 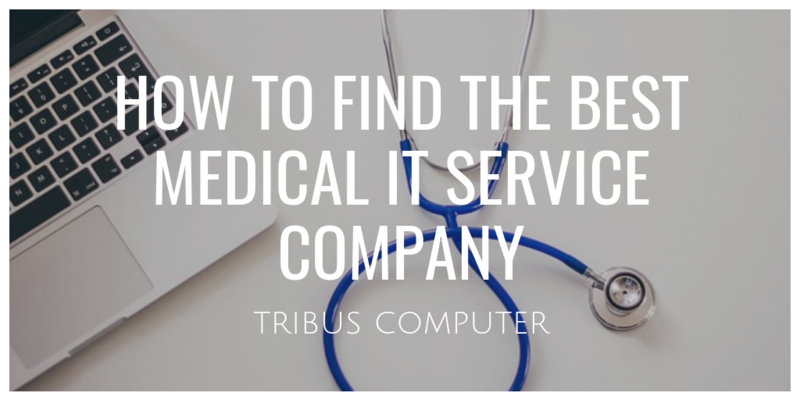 Before going over how to find the best medical IT service company, let’s first outline what exactly you should be looking for. What Should a Medical IT Service Company Provide? 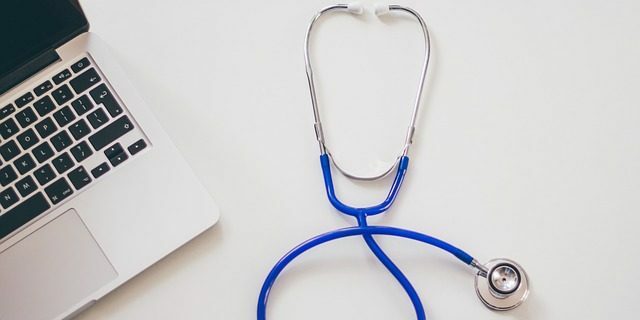 Tech support for doctors must be offered by professionals who are proficient in today’s relevant software and applications such as PMP (Patient Management Program), and who are also experienced in a wide variety of hardware and peripheral products to best serve the needs of your patients. They must also provide the security and dependability your practice requires. For a good reference point, read our article on “Business IT Solutions – The 7 Tools You Absolutely Need” – it’s a solid resource for any field. Medical professionals need to know exactly what to look for in terms of IT service. The importance of secure and protected data can’t be overstated. Medical records and test results are to be kept private and classified, and their improper use or premature release can be devastating. 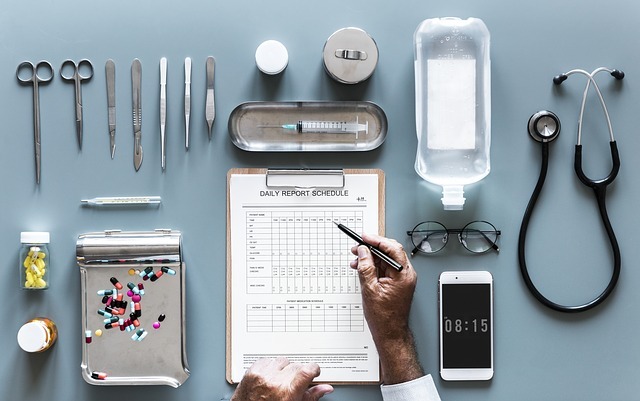 Electronic medical records and the proper exchange of health information are only as good as the network on which they are stored and transferred. How Can You Find the Best Medical IT Service? Research Online Reviews: A quick and easy way to assess computer support and services is to do some online research. Google reviews, Yelp, and Facebook are all great places to start. This is a great way to gather information on potential providers from other customers. Make sure to be wary of potential spam contributors, though; the best reviews are ones that offer at least a readable sentence or two. Ask Around: It’s easy to underestimate the value of a good chat in today’s digital world, but asking around for actual first-hand reviews of a computer support and services provider is always a good idea. Check with colleagues who run a similar business and have similar needs, and get the scuttlebutt on who has a good reputation and whom to avoid. Ask for a Meeting: After asking around for references, and assuming you can now eliminate at least one option, ask the top two computer support and services providers for a meeting in person so they can present a formal proposal. That should include the various tools and services they provide and the price point for each/ packages they offer. For reference, check our article on “4 questions to ask when choosing a network provider.” A face-to-face meeting is recommended so you can get a sense of who you will be working with. Make the Call: You’ve checked the reviews, engaged in thoughtful discussion, asked for reviews, met in person, and now it’s time to make a decision. By now you’ll have a good idea of what you’ll be getting on the technical side, and also a glimpse of the customer service that will be provided – anything less than exceptional should not be accepted. Pick up the phone, set up a time to meet and confirm the hire, and enjoy the benefits of a reputable computer support and services provider. Following this handy guide, you should be able to find a medical IT service company that’s right for you and, by extension, your patients. Keep up with the times by hiring a reputable medical IT service company. Tribus Computer can provide tech support for doctors with maximum efficiency and security. 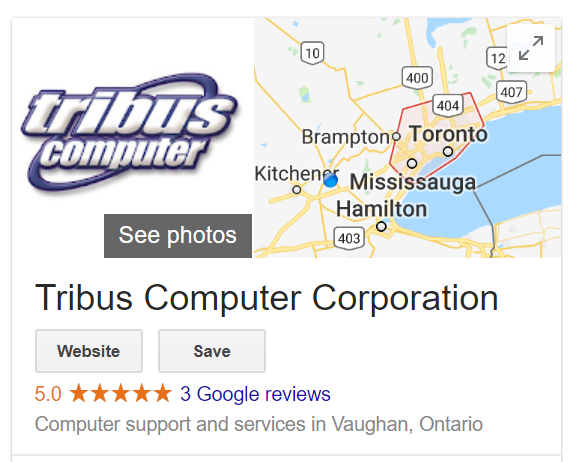 As a Toronto-area based company dedicated to the network services and general computer support of local businesses, Tribus offers a complete range of IT solutions and computer support contracts for all types and sizes of businesses, including medical practices. With an established network of computer technicians available to assist and support you with all your computer needs, Tribus can help with everything from purchase, to installation support, and even cloud services and secure network needs. In short, Tribus can help you save time and money, and bring your practice well into the digital era.